Acupuncture is a safe, effective method of treating disease. It treats the body and spirit, and has the added benefit of being extremely relaxing. At the heart of this medicine lies Acupuncture’s ability to bring body, mind and spirit into balance. It does this by regulating your body’s internal organs and harmonizing your nervous system. 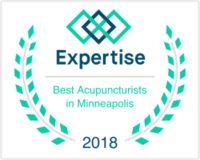 At our Minneapolis Acupuncture clinic we will activate your body’s self-healing mechanisms by inserting extremely fine needles (as thin as a human hair) into specific points. Assess and diagnose your condition. Develop a customized treatment plan for you utilizing acupuncture and/or Chinese herbal medicine. Optimize your health with unique & specific treatment strategies during each treatment session based on your symptoms and signs. Your health problems will be skillfully addressed using a variety of techniques that are the result of two decades of health care experience. 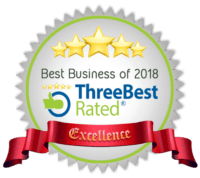 You will benefit from one of our secrets of success at Complete Oriental Medical Care, LLC. This is the unique style of acupuncture practiced at this clinic…plus 20 years experience in health care. The majority of acupuncture clinics in the United States use a method of inserting needles directly into the area of pain. Problems with this approach are: 1) the results are not consistent or reliable and 2) there is a risk of creating micro-trauma at the sick or injured area thereby making the pain worse. At Complete Oriental Medical Care, LLC, Steven Sonmore, L.Ac. is an expert in a different style of acupuncture. This method is over 2,500 years old and originates from one of the oldest books in the world, the I Ching. 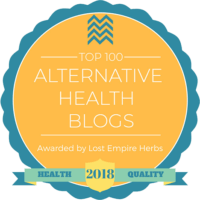 This method has several names such as: “The Balance Method,” or “I Ching Acupuncture,” or “Distal Point Acupuncture.” Regardless of the name, the effects are nothing less than amazing. The acupuncture points used are on the arms from the elbows to the fingers, on the legs from the knees to the toes and on the scalp and ears. Consequently, the patient never has to take off their clothes and the treatments are efficient, comfortable and extremely effective. Additionally, to help your condition we proudly offer hundreds of time-proven Chinese herbal formulas. Pain relief usually occurs in seconds! Our clients can feel the pain relief when they are still on the table. Most of our patients feel between 65% to 80% pain relief when they get up from our treatment table. Over a series of treatments long lasting relief can be 100%! Schedule your appointment for better health. Call 612-866-4000 TODAY or go to our contact page now.